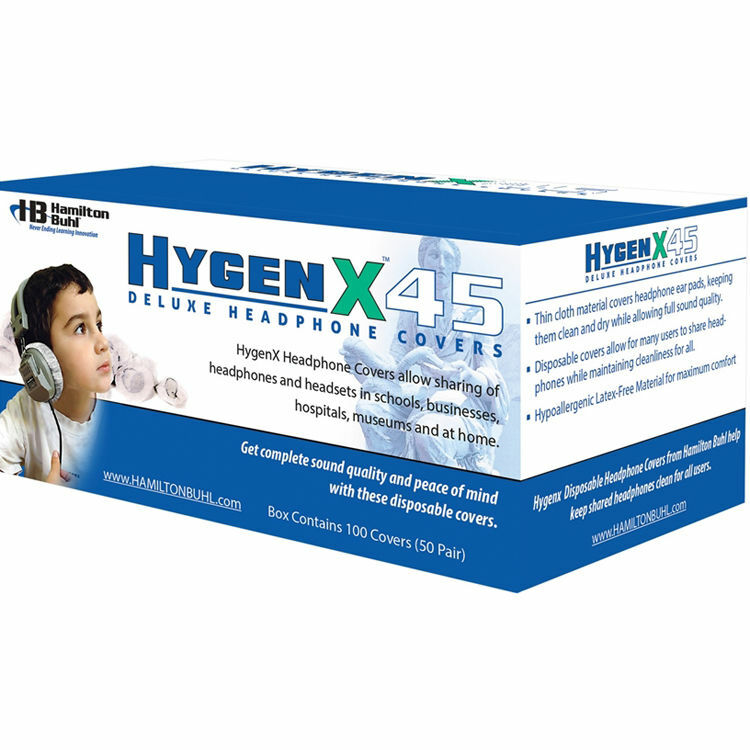 These black HygenX 4.5" Disposable Ear Cushion Covers for Over-Ear Headphones and Headsets from HamiltonBuhl are designed as sanitary covers to keep students, customers, or patients clean and protected when using headphones in shared environments such as call centers, computer labs, hospital testing centers, and more. The covers come in a tissue-box-style dispenser box and are made from a hypoallergenic polyester weave, which provides full sound quality, comfort, and protection. Box Dimensions (LxWxH) 14.0 x 13.0 x 9.9"